While the sunny beaches and colourful terraces of Spain are just a couple of reasons why many choose to book a holiday to this beautiful country in the first place, one of the lasting memories is the food. From starters to desserts, the Spanish have long had a love affair with food, and it is an experience not to be missed. This is a large country, so there really isn’t a single ‘national dish,’ so be sure to try each of these tasty treats on your next Spanish getaway. Ahhh, tapas. You might have had them here in the UK, but you’d be surprised to see the diversity of choice of tapas in Spain, as well as the freshness: sometimes the best tapas are simply ingredients like fish, cheese, or vegetables that were just prepared with just the lightest touch of seasoning or prep. 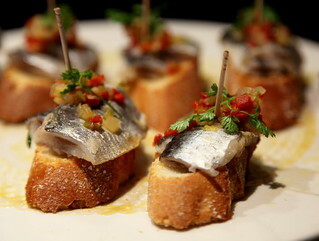 You’ll find the dishes vary per region; some of the best tapas are said to be from the Basque Country, where they are called pinxtos (pronounced like “pinchos”). The nice thing about tapas is you can order several, sampling lots of different flavours and tastes. It also means you can just have a light meal or have several rounds, though be careful – it is easy to overlook how many you’ve eaten! This is another dish you’ve likely had but you’ve not truly enjoyed it until you have it in Spain. This dish has its foundations in Valencia, and that’s where you can find the best, but it’s available throughout the country. 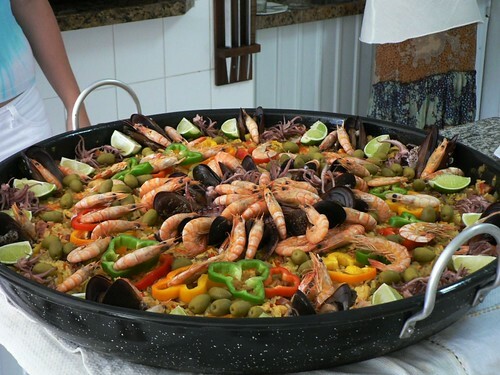 It’s essentially a massive rice dish baked with loads of vegetables and seafood (though you can get it without). The “typical” version will have shrimp and mussels, but in the old days you could get things like snail, rabbit, or duck to top it off! Of course, today the usually accoutrements are simply beans, tomatoes, and green vegetables, but there are as many combinations and recipes as there are restaurants serving it. This soup from Andalusia gets a bad rap – mostly because it’s served cold! Consider the circumstances, though: parts of Spain can be very dry, dusty, and hot during the long summers. Wouldn’t a cold soup be quite refreshing? That was the original idea, anyway, and today gazpacho is alive and well. The soup is a tomato base, but it is typically blended with lots of tasty vegetables, such as cucumbers, peppers, and onions. It’s served with crunchy bread, and sometimes depending on the province it will also come with slices of meat. 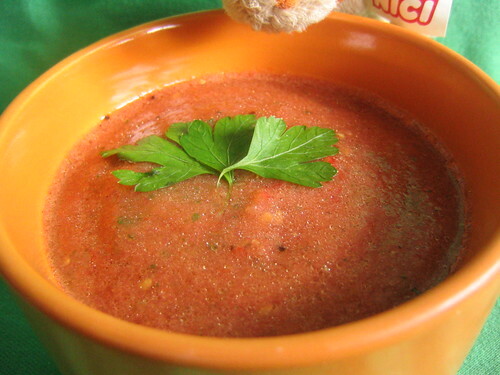 Escape the heat with some gazpacho – it is certainly tastier than it sounds. Chorizo: this is basically a spicy sausage made from pork. 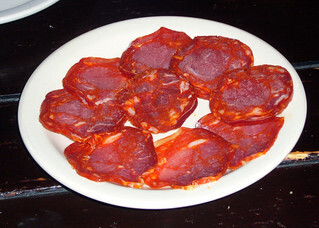 In Spain, unlike elsewhere in Europe, the meat has a distinctively smoky taste, and it can be quite hot. I find it best just with some slides of bread and a few pieces of cheese, alternating between them to keep the spiciness down. Cured Ham: cured ham has lots of names, it seems: Iberian Ham, Serrano Ham, or cured ham. It’s kind of the Spanish version of prosciutto (parmaham), but in Spain there are certainly different kinds, and the prices are the giveaway: it depends on the type of animal slaughtered that produces the quality of meat. Regardless, this is a tasty ham you’ll find served at all times of day, and it goes well with pretty much anything. I’ll close with a dish that feels a little closer to home – the tortilla de patatas, or potato omelette. This might sound kind of boring, but in fact if you take a close look you’ll see these omelettes are more like quiche – tall and round like a cake. Sometimes they’ll come with onion or vegetables, but to me this dish really does feel like the national dish because you’ll find it everywhere, from cafes to pubs to fancy restaurants. In the north it is often served in small slices as tapas, whereas down south you can order a whole one for the table. I’ve yet to have one that wasn’t perfectly golden on the outside, and delicious on the inside.